By buying this product you can collect up to 6 reward points as a voucher of £1.20. Your reward points. 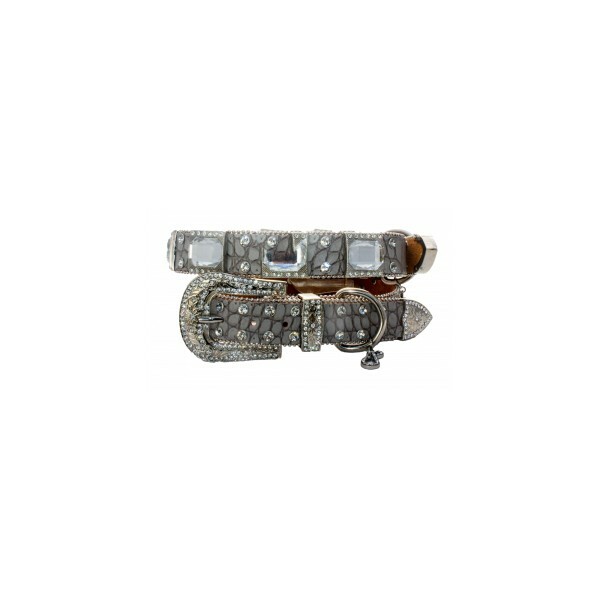 Designed in fashionable jewels set on silver plated frames encrusted with diamantes, incorporating our new trendy jewelled buckle and end protector smothered with shimmering silver studs, with a glistening of clear Austrian crystals. 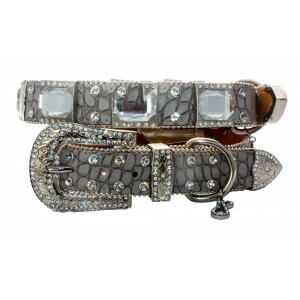 These collars are cut from the finest leather and come with the diamante Puchi P, make your dog stand out from the crowd with this eye catching design.